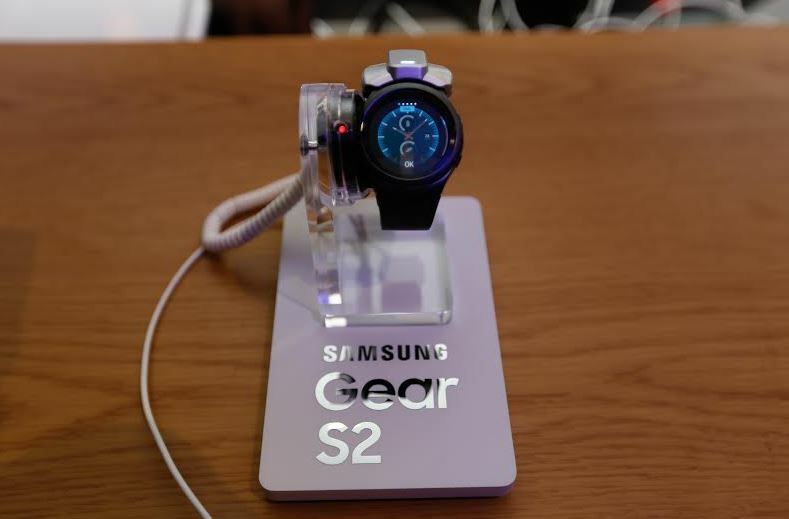 Samsung Electronics today announced the Samsung Gear S2 smartwatch in the Nairobi office geared towards providing users with the next evolution in wearable technology that allows them to interact with mobile content through the wearable device. The Gear S2 has been created with the aim of also providing users with the feel of a classical wristwatch while giving it a modern and sophisticated look using its circular design coupled with circular interface and rotating bezel that allows a user to navigate through the watch’s features quickly. The Rotating Bezel allows users to view content on the screen without any physical obstruction as opposed to other smart watches that are screen activated and operated using the user’s fingers inevitably blocking any content that needs to be viewed on the screen. Anyone using the Gear S2 will immediately be able monitor their notifications and messages in a convenient manner. The Gear S2 is a great tool for assisting customers live a healthier lifestyle because it allows one to automatically measure and record their heart rates and other physical activity levels over a 24 hour activity log. The device detects and records even the slightest physical activity with minimal fuss and uses this data to motivate and encourage a user to exercise more and maintain a healthier lifestyle. It is manufactured from strong stainless steel and high-strength Gorilla 3 Glass making it suitable for the extreme sports and activity even in harsh conditions because it has the IP68 certification for dust and water resistance. How often do you have to charge my Gear S2 smartwatch? Well, users can count on the long battery life that lasts between 2-3 on a single charge. What’s even more exciting is the advanced power saving mode that can be activated when one is running low on power and the fact that the Gear S2 can be charged using a wireless charging dock. ‘Personalization‘ is also a key feature on the Gear S2 in that a user can customize their Gear S2s to their own personal style. How you may be asking – The smartwatch comes with a range of customizable watch faces and interchangeable wrist bands that allow each owner to make a uniquely different product at each instance. Synchronization is another key feature on the smartwatch. Unlike other Samsung smartwatches like the Gear, Gear 2, and Gear Neo, this smartwatch – The Gear S2 – is compatible with other smart devices including devices from other Android mobile phones manufacturers like the Nexus and HTC as well as compatible with home appliances which can help them manage their smart homes in the ever-changing scope and innovation field of IoT.